First of all, no home test kit is a replacement for seeking medical care. If you have symptoms that concern you, are different than you usually experience, or increase in severity, you should consult with your medical care advisor immediately. That being said, many interstitial cystitis patients find it helpful to be able to test their own urine; if for no other reason than to help sort out their symptoms better. If you use any of these testing products, be sure to follow all directions carefully, reading (and re-reading) all warnings carefully. This new urine test kit checks for Nitrite AND Leukocytes (white blood cells)in the urine, the same UTI test pads that most doctors use. 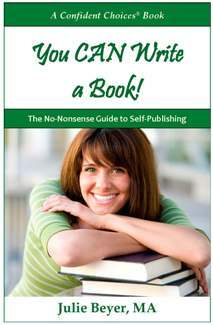 Easy to use and read in just 2 minutes! Perfect for catching urine specimen at home. Be sure to consult with your physician to see if they accept home urine samples. Features of the Amsino AMsure Urine Specimen Container: Comes with Screw-On Lid and label. Packaged in Poly Pouch. Sterile Interior. Individually Wrapped. Height: 3". Container is calibrated. 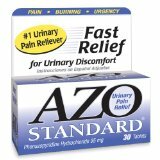 AZO Standard Urinary Pain Relief Tablets contains the same medication prescribed by doctors for fast relief of urinary discomfort. Read product description and warnings at point of purchase. Always check with your physician before adding or changing medications. Never disregard or delay seeking medical advice. Purchasing via the links below can help support this website, however the same medication is available in generic form from many common pharmacies. That is good to know if you are ever on the road and get a flare! NOTE: Amazon also sells various value packs.